Cafe management software - login form. From this for you can login/logout from this software. 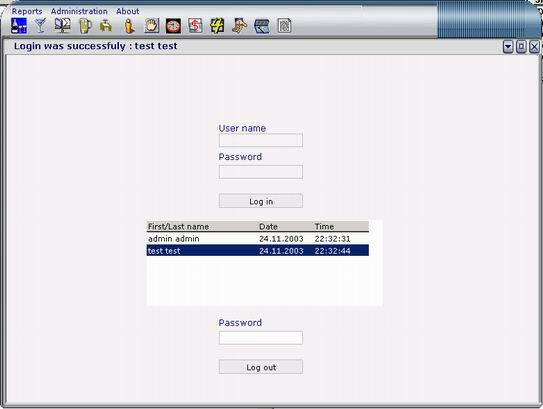 � NOTE: When you login as administrator, don't forget to log out (because as administrator you have access to all functionality in cafe software! If you login as administrator, you can press on setup icon and you will see more options.